Students are wanting to give back during the holiday season because we would like to bring happiness to someone’s day. By engaging in conversation, providing some baked goods, and participating in a holiday craft- it will bring joy to them and to us. This project relates to our leadership class because we would like to bring awareness to older generation and how much we appreciate them. A goal of ours as a group has been to challenge ourselves to be able to improve on our communication skills. From collaborating as a group to create this plan, to calling the facility on our own to arrange this event, and making sure the project is done to the best of our abilities. This is something we hope to do several times throughout the school year. 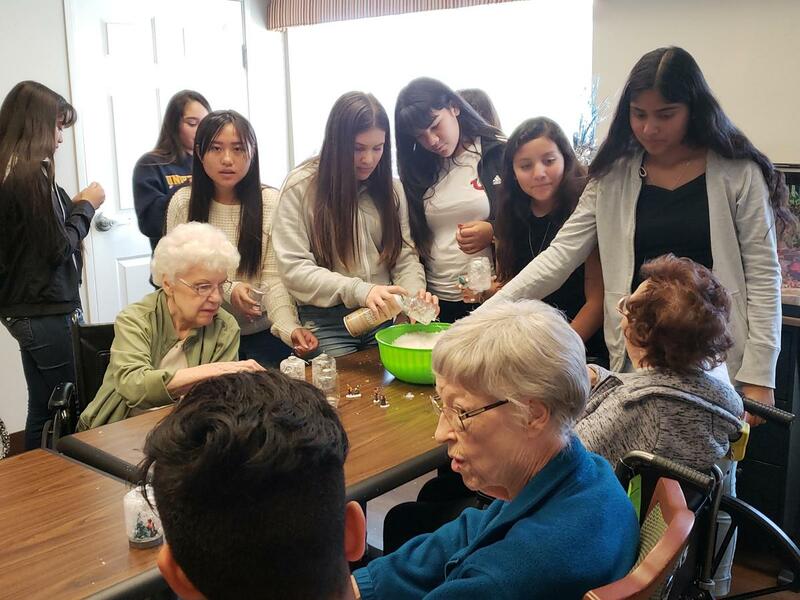 Creating crafts, engaging activities, and even reading to the seniors is something we truly value.